Most headaches and migraines involve the trigeminal nerve. Its superior branch ends at the exit of the eye socket, underneath the skin of the forehead. An adhesive electrode is positioned on the forehead and Cefaly connects to this. 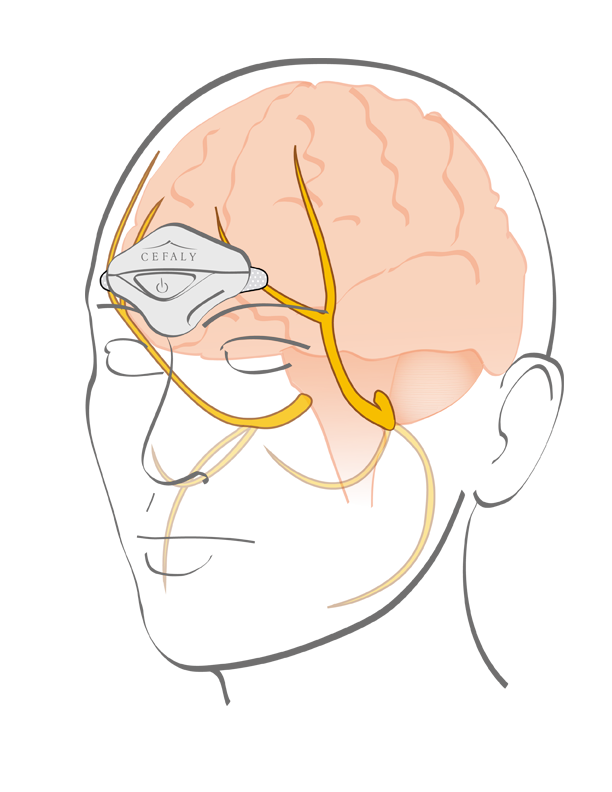 Through the electrode, Cefaly generates precise micro-impulses in order to stimulate the nerve endings of the trigeminal nerve. Neurostimulation of the trigeminal nerve with Cefaly produces a sedative effect. Regular repetition of this sedative effect helps reduce the number of attacks of migraine.